I’m not Irish, so maybe that’s why I had no idea Ireland’s vaunted pubs were legally prohibited from opening on Good Friday. The Roman Catholic Church’s influence holds sway there and has kept this law on the books since 1927—until today. 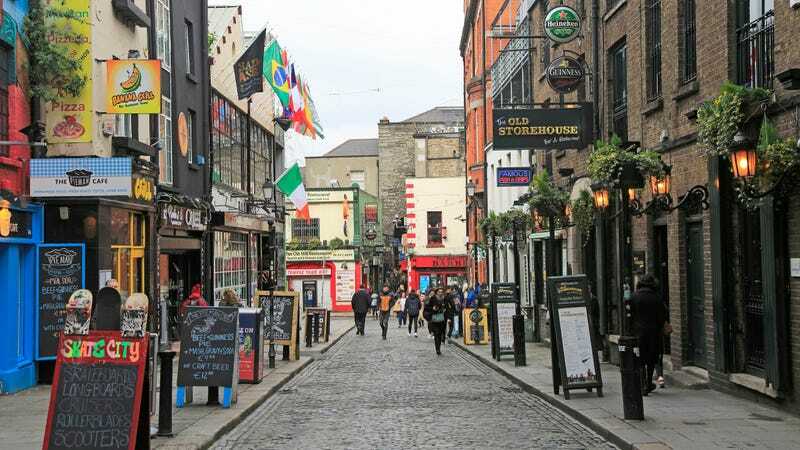 BBC News reports that this is the first Good Friday in 91 years that Ireland’s pubs have been able to open; some are still choosing to remain closed in observance of the most solemn holiday in the Catholic calendar. Others are choosing to open and donate their profits to charity to offset any negative PR. The law changed in January 2018, with lawmakers concerned that forcing pubs to close on Good Friday was negatively impacting tourism. (“On Good Fridays past, hapless foreigners unaware of the drinks ban could be found wandering the streets of Dublin in a futile search for a pint,” BBC News reports.) The Vintners Federation of Ireland estimates the change could add $49 million in sales, no small chunk of change. But while some publicans are glad for the extra cash, others will miss Good Friday as one of the few days off they could count on each year.